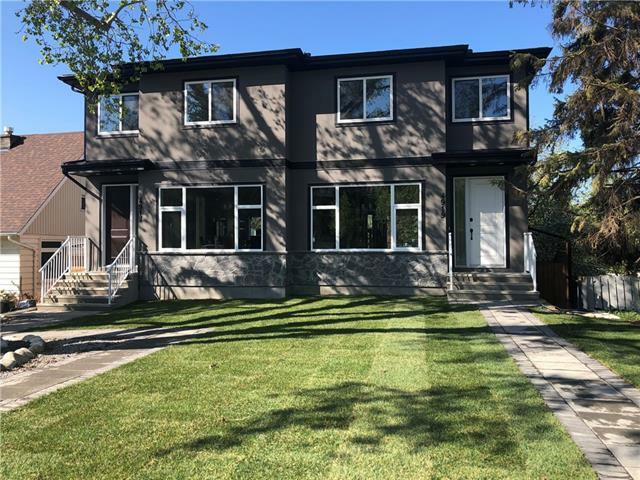 DESCRIPTION OPEN HOUSE Sat, Apr 20: 2-4pm!This MODERN Montgomery home is miles ahead of the curve in DESIGN, STYLE, FINISHES + QUALITY! This is one of Calgary's boutique INNER CITY communities rich in parks, recreation, amenities, culture, community involvement! SUNNY SOUTH exposure on a GREAT STREET and totaling over 2,565 SQ FT of FUNCTIONAL living space! Loaded with DESIGNER cabinetry, SUBWAY TILE back splash, EXPANSIVE QUARTZ island + STAINLESS STEEL Kitchen-Aid appliances. 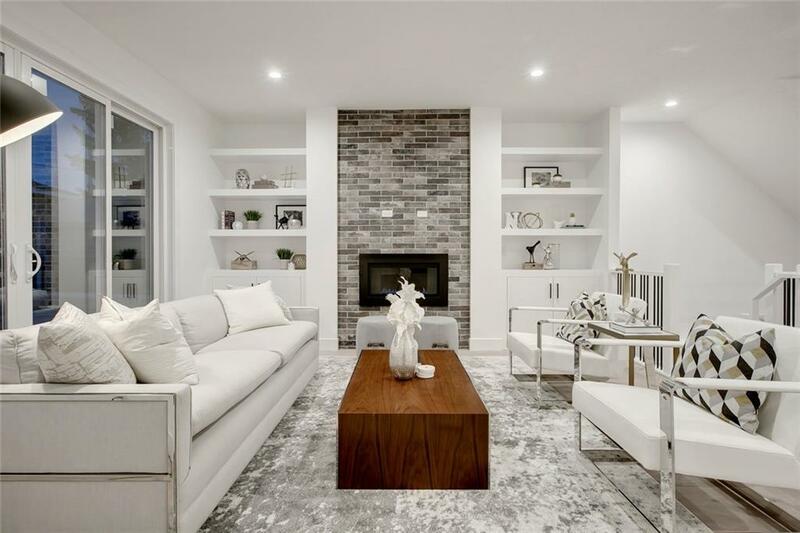 Notable features include: 2 large SKYLIGHTS, LED lighting, white oak ENGINEERED HARDWOOD on main, UPGRADED LUXURY carpet, DOUBLE SLIDING DOORS leading to the rear deck, a STUNNING MASTER bedroom, a SPA-INSPIRED ensuite + WIRED for audio/home automation. Roughed-in for: IN-FLOOR HEAT (lower level) + CENTRAL VAC. And FINALLY, a lower level layout that is SMART + FUNCTIONAL and includes a WET BAR/GAMES area with a SPACIOUS MEDIA ROOM area with CUSTOM BUILT-INS, a 4pc bath, 4th bedroom + tons of storage. This NEW build STANDS OUT from the rest! PHOTOS ARE FROM ATTACHED SIDE: 4836 20 Ave NW. All furniture available for purchase from Dezin Home Staging! 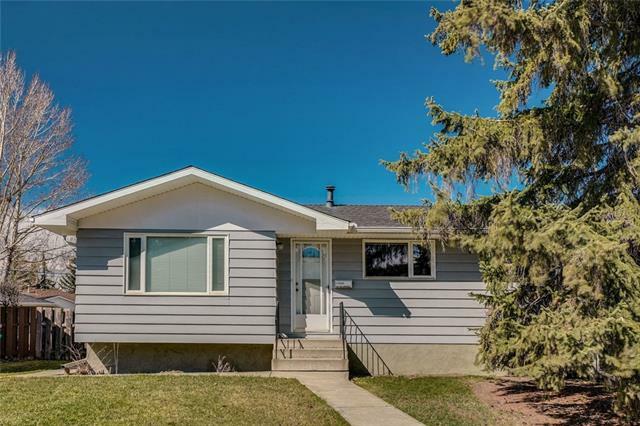 Home for sale at 4834 20 AV Nw Calgary, Alberts T3B 0V3. 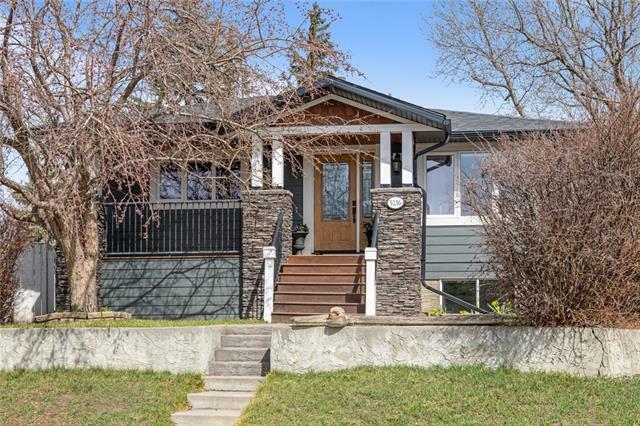 Description: The home at 4834 20 AV Nw Calgary, Alberta T3B 0V3 with the MLS® Number C4225714 is currently listed at $749,900.